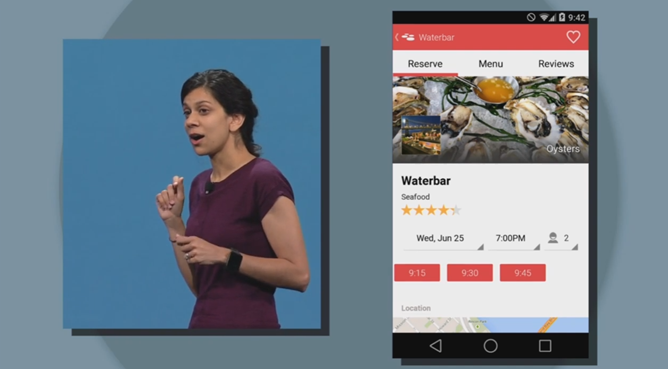 We've known about Project Hera for quite a while, and at Google I/O today, it was confirmed by Google's Director of Product Management for Chrome, Avni Shah. Hera is a new way for the web and apps to interact with each other on Android via an API, allowing apps like Chrome and Docs to use multiple scrolling items in the Recents menu at one time. Combined with the visual overhaul in the L release, this may drastically change the way that users interact with content. 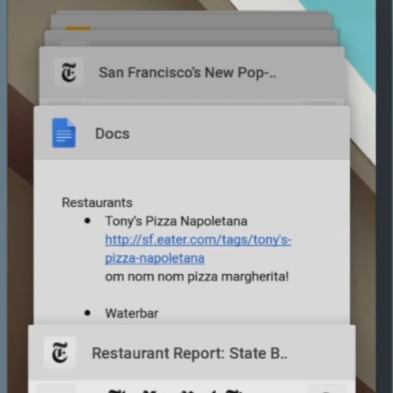 Note the separate Recents menu items for Chrome tabs (NYT) and apps in the new L Material Design interface. Content is the word here, because the focus of this new system is on pieces of information rather than specific apps. Tabs in Chrome for Android will fill individual Recents items in Android L (at least by default). This capability will be expanded to other Google apps, and indeed, potentially any relevant apps, by using the API. Even more interestingly, the new relationship between the mobile web and Android apps will allow for some interesting interactions. 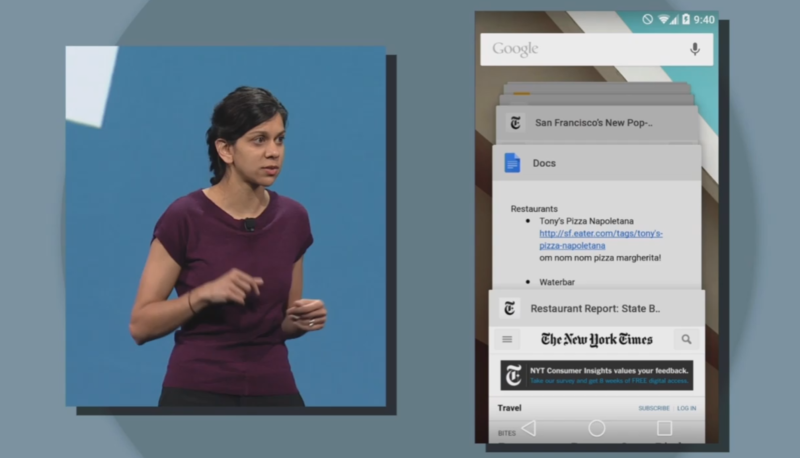 Shah demonstrated app indexing that allowed for deeper links between apps, search, and the web. For example, a Google search for the Waterbar Restaurant in San Francisco included a relevant link to an OpenTable page. Clicking on the link not only opened the OpenTable app installed on the phone, but immediately sent the app to the relevant page. Obviously there's a lot more that remains to be seen about the new user interface and how the Recents menu and Chrome will fit into the L release. We'll be continually covering Google I/O 2014 for any further developments. Check out our original scoop on Project Hera for more technical details.